Breakfast in Singapore truly is something to behold. For starters, it’s incredibly varied, with Indian, Chinese and Malay offerings ranging from rice and noodle dishes to piping hot roti prata and fried meaty treats. 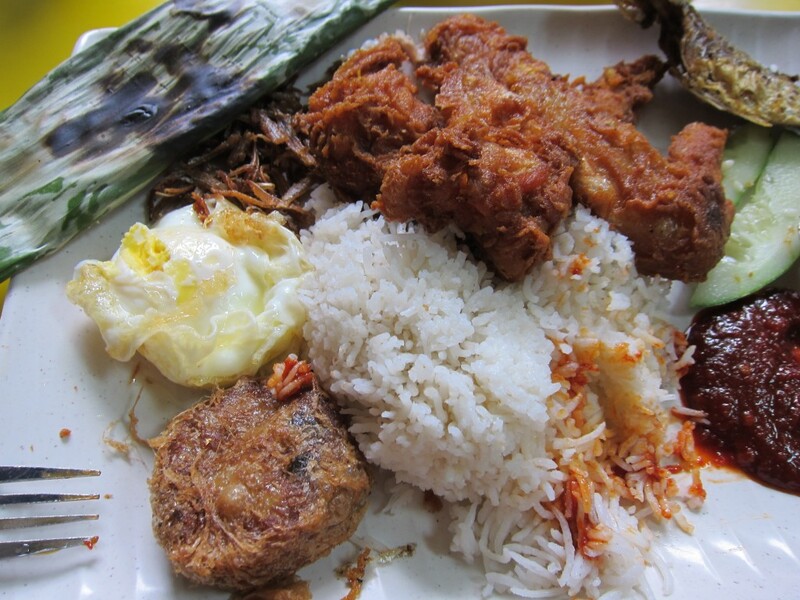 A classic must, however, is nasi lemak — a Malay dish comprising fragrant coconut rice with hearty ingredients such as fried chicken and crispy anchovies. It’s so popular and commonly eaten that some hawkers have it packed ahead of time into tightly folded banana leaves for a quick and tasty breakfast to go. While I’m fortunate enough to live not too far from one of the great nasi lemak joints on the island — International Food Stall in Changi Village — I’d been hearing about another place for years, one that’s supposed to be the absolute best. Selera Rasa, in fact, is so well-regarded that the Sultan of Brunei supposedly pays a visit when he’s in Singapore, ordering up dozens of packets for takeout. “Look for the long queue,” Singaporean food personality KF Seetoh counseled, when I asked him about Selera Rasa a few years ago. It was at Nyonya, a Malaysian restaurant in New York City, that I recently found myself with the legendary and insatiable Gael Greene, trying to explain the wonder that is nasi lemak, a Malay dish of coconut rice topped with a fried egg, fried chicken, crispy anchovies, cucumber slices and fiery sambal chili sauce. “We eat it for breakfast — or lunch,” I said, explaining that some Singapore hawkers will have packets of the rice tightly wrapped up in banana leaves set out in the morning, ready for the harried to buy and eat on the run. “Breakfast?” she said, looking intrigued. Granted, it’s hard to appreciate nasi lemak as one of the best ways to start the day when the New York version set before you is a mound of flavorless rice paired with a mushy mess of sodden chicken and anchovies that are limp and cold instead of crunchy and tongue-searingly hot. But if you’ve had the real thing for breakfast while sitting in a humid hawker center in sweltering tropical heat, trust me, you’ll be a convert. Oatmeal and French Toast will be all but a distant, lesser memory.